Eternal Orthodox Church calendar for the 22.12 year 2017. Righteous Joachim and Anna were childless for fifty years of their married life. In their old age, the Archangel Gabriel appeared to them, to each one separately, and told them that God had heard their prayer and that a daughter would be born to them. 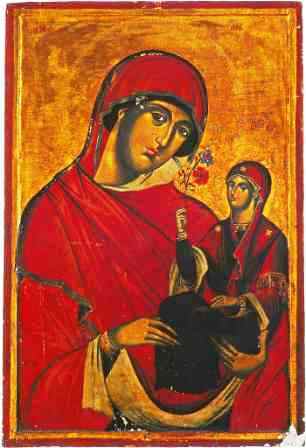 Then St Anna conceived by her husband and, after nine months, bore a daughter blessed by God and all generations of men: the most holy Virgin Mary and Mother of God. There is a fuller account of all this on September 9th. Hannah was the wife of Elkanah from Ramathaim-Zophim, or Arimathea (I Sam. 1). She had had no child, being barren, and she wept and grieved bitterly for this. But God in His mercy took pity on her, and removed her barrenness in response to her ceaseless prayers and sighs. Hannah bore a son, Samuel, and dedicated him to God from his childhood. Samuel was a great leader of the nation of Israel, and a prophet who anointed two kings, Saul and David. St Hannah sang a hymn of thanksgiving to God, a hymn wonderful in its wisdom and beauty, which is used to this day in church services (I Sam. 2:1). This godly man was born and brought up in Constantinople in the house of his parents Zacharias and Theophano, his father being a priest at the Great Church in the time of Patriarch Methodius. When she was carrying him in her womb, his mother fed only on bread and water, and, when the child was born, a cross of light shone on his breast. Because of this, and because of his pure and godly way of life, he is named "the New Light". At the age of eighteen, Stephen shut himself up in a cell attached to the church of St Peter the Apostle, and devoted himself to prayer and fasting. Once St Peter appeared to him, and said: "Peace be to thee, my child; thou hast made a good beginning. May the Lord strengthen thee." After that, he spent many years in a cell by the church of the holy martyr Antipas. This saint also appeared to him, encouraging him: "Know that I will not abandon thee." Stephen took greater and greater labours upon himself. He ate only twice a week, and that unsalted cabbage. 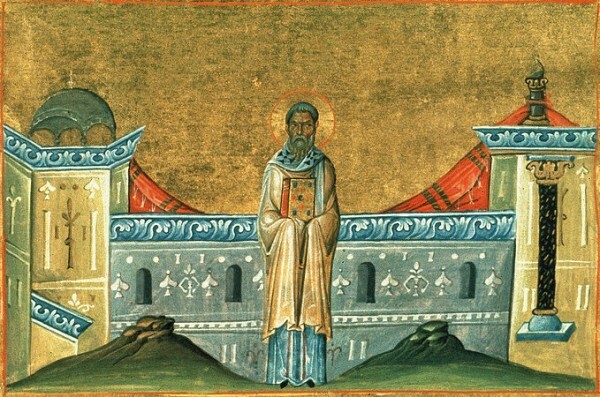 In all, this holy man spent fifty-five years in asceticism for the sake of the kingdom of Christ, and went to his rest in the Lord in 879, at the age of seventy-three. He was born and brought up in Cyprus. Because of his great spiritual erudition and his many virtues, in particular his compassion, he was made archbishop after St Damian. Having faithfully served the Church and led a life pleasing to God, he died peacefully in the sixth century.